This two-part workshop series aims to educate members of Arizona State University’s (ASU) Green Devil Network on climate resilience and engage them in the resilience assessment process. The Green Devil Network (GDN) is a community of staff members that have committed to specific sustainability initiatives to boost performance across departments. The first part of the series introduced GDN members to climate resilience and why it matters to ASU. Facilitators engaged participants in a future visioning exercise to envision an ‘ASU Resilient Campus’. The second part of the series introduced GDN members to ASU’s Capacity Matrix and asked for their input in an effort to complete a resilience assessment for each ASU campus. For this workshop series, sessions are held at the ASU Downtown, Polytechnic, and Tempe campuses. The University Sustainability Practices department for ASU is coordinating the workshops and the Green Devil Network. Through a partnership with Aramark, ASU has been able to cater healthy, local food options for each workshop. The series is funded by an external grant dedicated to climate resilience initiatives. 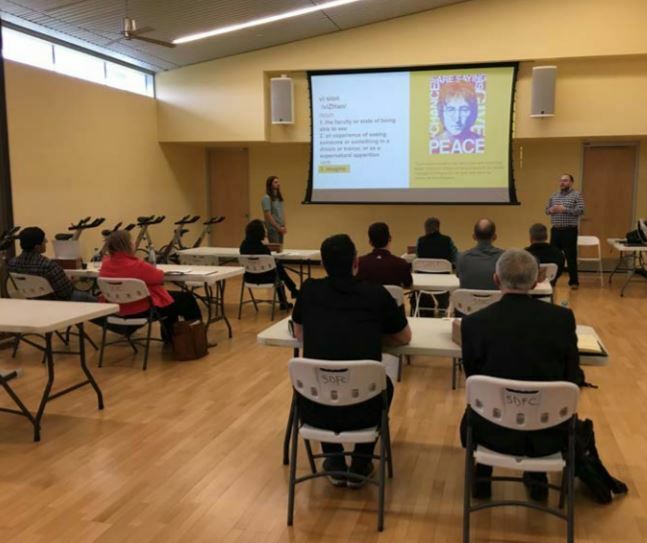 To complete the initial resilience assessment at the ASU West campus, the ASU Climate Leadership Team relied heavily on meetings with various staff personnel. They met with faculty, students, and community members as well, however a bulk of the input for the assessment was obtained from staff members. From that process, ASU decided that this workshop series would be a more efficient way to engage all staff members in the assessment process. At the same time this would provide staff with a solid foundation for the ASU definition of climate resilience and why it is so important for the university. The turnouts at each campus were better than expected. Many of the GDN staff are extremely busy, so the workshop planners were surprised at the number of people who took time out of their day to learn about climate resilience. They were also surprised by the enthusiasm and creative ideas in visioning a resilient campus. The workshops also helped strengthen existing relationships between staff, and develop new connections. ASU chose to organize the first part of the series into two sessions of one hour each. The first session introduced the main components of climate resilience, and the second was dedicated solely to the future visioning exercise. The second part of the series will follow a similar format. After each visioning exercise, ASU blended elements from all of the visions presented to create one shared vision for each campus. These visions will serve as guiding documents as the university moves toward resilience planning and implementation at each campus.